Antonio Conte in a press interview confirmed that both Thibaut Courtois (hamstring) and Pedro (knock) could be ready to make a return for the home game against West Ham United on Sunday afternoon at Stamford Bridge. However, the Italian wing-back Davide Zappacosta (tendon injury) remains doubtful for the West Ham match, as he is yet to fully recover from a tendon injury, Victor Moses, as usual, will play at the right wing-back position. If Thibaut Courtois fails to pass a late fitness test then Willy Caballero will be available to continue in goal for the Blues. 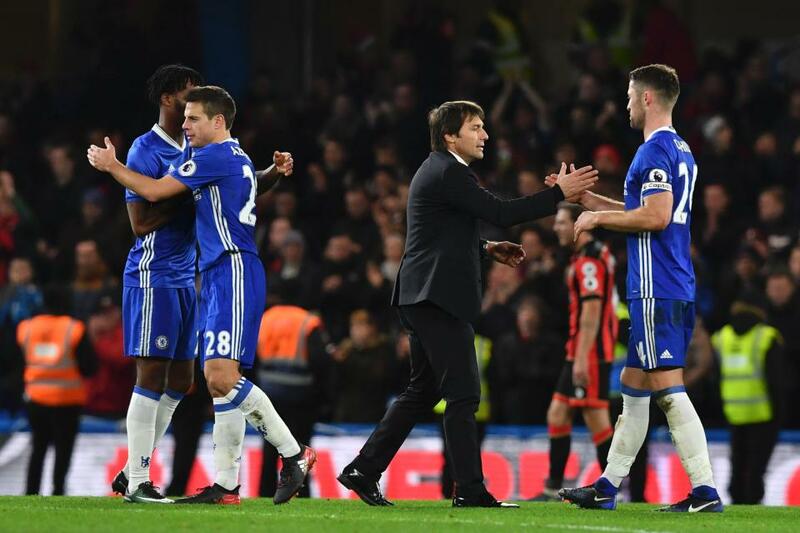 Generally, the set-up of the Chelsea team remains basically the same with the coach not having the luxury of making many changes following the 3-1 defeat to Tottenham Hotspur last weekend. Alvaro Morata is likely to start up front ahead of French man Olivier Giroud. Morata got on the scoresheet for Chelsea last weekend after several weeks of a goal drought. Willian and Eden Hazard will anchor Chelsea’s attacking midfield in the usual 3-4-2-1 system, while Pedro if he is passed fit for the match, will take a spot on the bench. Cesc Fabregas will retain his position in central midfield, while Tiemoue Bakayoko and Danny Drinkwater will offer alternatives to the Spaniard on the bench. Ross Barkley has returned to full fitness and played a game recently for the U23s, and may be named among the substitutes for the West Ham game. Gary Cahill provides cover in central defence, he will take his place on the bench, Cahil has only started one of the last five in the Premier League. David Luiz and Ethan Ampadu both remain out due to long-term injury. Chelsea is undefeated in their last 12 home matches against West Ham in all competitions, while West Ham has lost their last 3 away matches in the Premier League. Chelsea should have no problem comfortably winning this match, they have enough quality to easily beat West Ham and keep alive their diminishing hopes of a top-four finish.